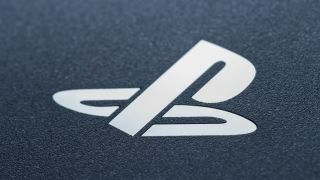 How the PlayStation 5 will compare to future gaming PCs Sony's next-generation console features a ray tracing GPU, Ryzen CPU, fast SSD storage, and more—but not in 2019. News Warp speed for AMD GPU owners, but Nvidia gamers will be far less impressed. Deals It's cheaper than most SATA-based SSDs of the same capacity. News TSMC anticipates 6nm being used for GPUs, high-performance computing, and other products. Pasta Case Gamer Looks good enough to eat. News Look what emerged from the vault. listen up Make sure your voice is heard with the best microphones for streaming. high speed These are the best gaming routers right now, to keep your gaming connection strong, secure, and on budget. Cutting Edge Thin, stylish and practical, the best Razer laptop for gaming is here to replace your existing notebook and desktop alike. Review Big Financial Gaming Decision. Laser Focus A heavy, ambidextrous gaming mouse with an extremely gamer aesthetic. Sit down Although it encourages good posture and is superbly well made, this chair falters where it counts. Baby steps Next-generation consoles may help push PC gaming forward, eventually, but PCs are already well on their way. Buying Guide Make sure your rig, data and files are well protected from all the nasties that are out there with one of the best antivirus programs.